Jammu and Kashmir Police has detained seven persons from Pulwama district of South Kashmir in connection with the deadly terror attack that left 40 CRPF personnel dead near Awantipora, officials said Friday. 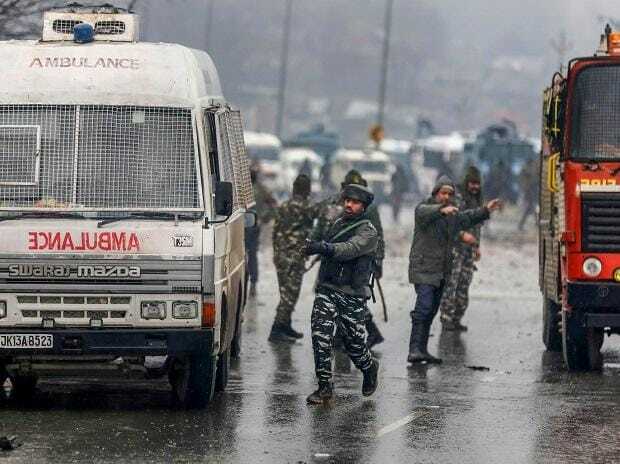 The youths were detained from Pulwama and Awantipora during the night on suspicion of links with the planning of the suicide attack, the first of its kind in which a terrorist of Jaish-e-Mohammed detonated an explosive-laden vehicle near a CRPF bus. The overall planning is believed to be done by a Pakistani national, Kamran of JeM, who has been operating and moving in areas -- Pulwama, Awantipora and Tral area of South Kashmir. The 'fidayeen' (suicide attacker) was identified as Adil Ahmad from Kakapora in Pulwama. He had joined the JeM in 2018.